Time until Wartide: Heroes of Atlantis release day! 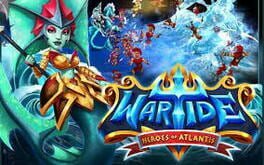 Wartide: Heroes of Atlantis is a tactical online game where you summon heroes, recruit troops, battle against intruders, and forge alliances to destroy your common enemies. Wartide’s unique pre-battle deployment gives you options for creating different formations with your army. Plan your every move and reclaim the long-lost throne of Atlantis!